fact, whenever my wife goes to shop here, that's what I call it. Let's buy a T'Nah bag at Criteria! LOL that is funny I thought that as well about the place - bloody over priced sweats! Ha ha, you must have totally looked like a tourist taking that pic... "Look! 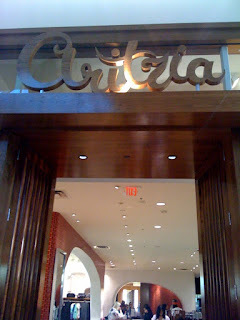 We shop at Clitelia!"